India is considered as an attractive emerging market destination for commitment of funds. Thus, established Private Equity houses, new age Fund Managers and even Family houses are considering setting up fund structures in India. The government has been proactive in establishing an attractive regulatory and tax regime for fund set up in India. Further, there has been consistent stability in these regulations and tax aspects over the last several years. This certainty and clarity enables fund managers to attract investors from all over the world for their India focussed investments. Fund managers and their investors typically evaluate both co-investment and unified structures depending upon several factors such as key geography of fund raise, number of investors, size of each investment, return expectation of the investors (year on year cash yield, IRR linked exits etc. ), genre of investments (early stage, growth) etc. At Transaction Square, we understand the business of fund management and the regulatory and tax environment around it. We partner with Private Equity funds, Fund Managers and Family houses (both domestic and foreign) to design their strategy of fund structure for India focussed investments. We extensively evaluate need for set up of feeder fund overseas, need for set up of SEBI’s registered Alternate Investment Funds (AIF), structure of the investment manager, their carry, their location and residential status (India or overseas), preferred jurisdictions for setting up overseas Fund (pooling vehicle, feeder fund etc. ), upstreaming of proceeds, tax leakages thereon and options for rationalisation, assessment of the applicable FDI regulations in downstream investments, tax implications for the fund itself, exit strategies etc. Our experienced team helps in implementation of the selected fund structure and undertakes drafting / review of the fund documentation (charter documents of the fund, Private Placement Memorandum, trust deed, contribution agreements, management services agreements etc. ), assists in seeking registration with SEBI as an AIF and provides regular tax and regulatory compliance services as prescribed. Similar to the concept of REITs, Yield Co’s, Business Trusts etc. in developed markets, REIT”s and InvITs are structures in India that enable attracting yield based private investors to real estate and infrastructure sector respectively. SEBI introduced the REIT’s and InvIT’s regulations in India in 2014 to attract fresh and patient capital in the sectors of real estate and infrastructure and reduce the burden on the banking system. 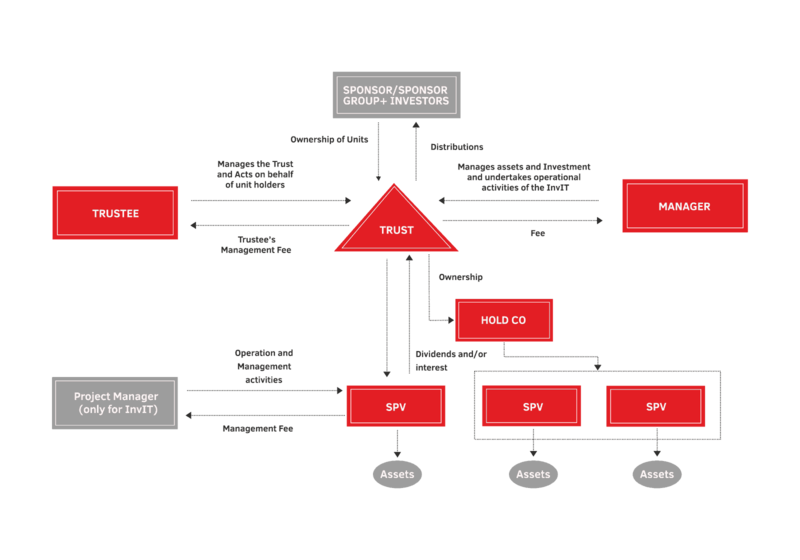 The regulations provide detailed guidelines on who can be a sponsor (person that can set up such structures to attract capital), manager and a trustee, nature of assets that can form part of these structures (extent of built up, cash generation assets, assets under construction etc. ), manner of access to capital market, conditions for minimum fund raise, listing requirements, policies in respect of distribution of dividends, extent of potential leverage etc. At Transaction Square, our professionals have an extensive understanding of the market for REIT’s and InvIT’s. 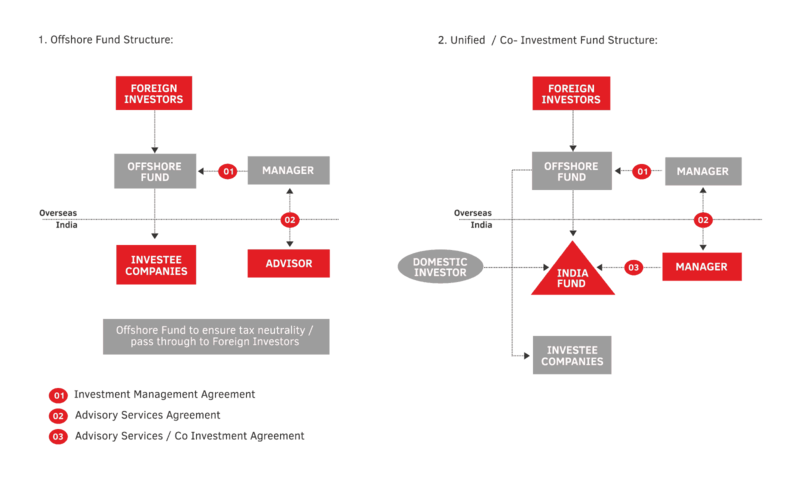 We provide strategic guidance to foreign and Indian asset owners to evaluate this opportunity to access capital markets, assess feasibility based on the current asset portfolio and pipeline, provide overall guidance on expected valuation, evaluate potential tax leakages and provide optimum structures for upstreaming cash yield to investors with minimum tax leakages (thereby improving cash return) etc. Our teams have a deep understanding of the regulatory provisions and provide guidance on analysing and applying the same to every situation, so as to improve the marketability of the asset portfolio, enhance ability to raise funds, minimise tax incidence on secondary fund raise, plan exit strategies in line with lock in conditions etc. We provide support in implementation as well by assisting in drafting and submitting necessary applications to SEBI for seeking registration, suitably liaise and discuss with SEBI at all times, set up the Trust structure for the REIT / InvIT, set up relationships with independent Trustees, draft / review all contracts / documentation as may be necessary and prepare / review the business plan from regulatory perspective etc.